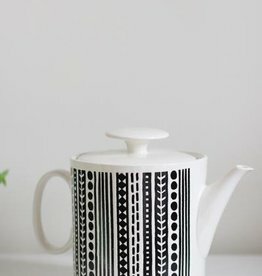 Trace the textured designs of this teapot while enjoying your morning coffee or tea. The patterns are embossed in metallic and colored glaze on stoneware in mosaic motifs and floral icons. 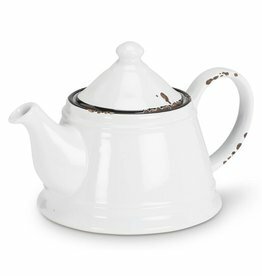 A clean, polished finish makes this white enamel teapot the perfect, versatile piece to add an effortless vintage flair to any kitchen. 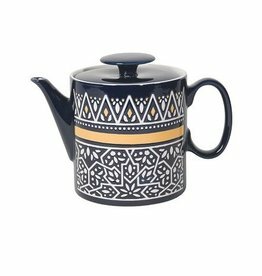 Made of durable stoneware, yet reminiscent of old-fashioned tin cups, this enamel-style teapot has a rustic charm.